Credit: Dr. Kylie Ellis, University of Adelaide. University of Adelaide researchers have discovered that stem cells taken from teeth can be coaxed to resemble brain cells, suggesting they could one day be used in the brain as a therapy for stroke and other brain disorders. In the University's Centre for Stem Cell Research, laboratory studies have shown that stem cells from teeth can develop and form complex networks of brain-like cells. 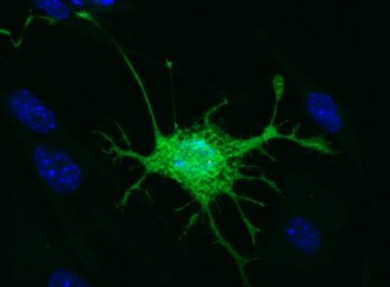 Although these cells haven't developed into fully fledged neurons, researchers believe it's just a matter of time and the right conditions for it to happen. "Stem cells from teeth have great potential to grow into new brain or nerve cells, and this could potentially assist with treatments of brain disorders, such as stroke." said Dr Kylie Ellis, Commercial Development Manager with the University's commercial arm, Adelaide Research & Innovation (ARI). Dr Ellis conducted this research as part of her Physiology PhD studies at the University, before making the step into commercialisation. The results of her work have been published in the journal Stem Cell Research & Therapy. "The reality is, treatment options available to the thousands of stroke patients every year are limited. The primary drug treatment available must be administered within hours of a stroke and many people don't have access within that timeframe, because they often can't seek help for some time after the attack. Ultimately, we want to be able to use a patient's own stem cells for tailor-made brain therapy that doesn't have the host rejection issues commonly associated with cell-based therapies. Another advantage is that dental pulp stem cell therapy may provide a treatment option available months or even years after the stroke has occurred." said Dr Ellis. Dr Ellis and her colleagues, Professors Simon Koblar, David O'Carroll and Stan Gronthos, have been working on a laboratory-based model for actual treatment in humans. As part of this research Dr Ellis found that stem cells derived from teeth developed into cells that closely resembled neurons. "We can do this by providing an environment for the cells that is as close to a normal brain environment as possible, so that instead of becoming cells for teeth they become brain cells. What we developed wasn't identical to normal neurons, but the new cells shared very similar properties to neurons. They also formed complex networks and communicated through simple electrical activity, like you might see between cells in the developing brain." said Dr Ellis. 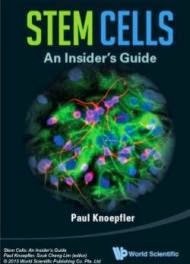 This research on dental pulp stem cells opens up the potential for modelling many more common brain disorders in the laboratory, which could help in developing new treatments and techniques for patients. Well done on the breakthrough. This topic really interested me as my family has been badly affected by strokes in the past few years. So if I understand this correctly your aim is to use cells from a person's teeth to replace neurons in the brain damaged by a stroke or any other problem in the brain. I was wondering how it will work in the end. Will your cells be directly planted into your brain as a precaution or will the cells be removed from your teeth when you already have the problem in your brain? And will it be directly implanted into your brain, or first 'edited' and grown in a laboratory? I think that you deserve an applause for this finding may become a major breakthrough and may come in handy in the medical field by judging from all those neural diseases and defects which are said to be incurable. But then the million rand question is that how will the cells be planted and another one is; in the case of Alzheimer's disease, because it is said that brain cells themselves encode for memory so does this mean that if new cells are brought in then the lost memory can not be retrieved?